With the Christmas season upon us once again, it is time to start thinking about fun and creative gift ideas for your loved ones. Personalized gifts make the spirit of the holiday season come to life and make gift giving that much more special. Lesesne Industries, Inc. offers customer embroidery on just about anything that you can think of! If you are searching for the perfect Christmas gifts this year, let Lesesne Industries help you to create personalized gifts for your friends and loved ones that will be cherished for years to come. Pretty much anything! From clothing to drinkware to everything in between, Lesesne Industries can make it unique. No matter what type of gift you are giving this holiday season, you can make it unique by adding the personal touch of personalization to it. Your loved ones will truly appreciate the extra thought and time you invested in making their gift special. Why Give a Personalized Gift? A gift of any kind is a way of showing a person that you care for them. Make it a personalized gift by adding embroidery and it becomes a keepsake that will be cherished forever. When a gift shows that thought was put into it, it can work for anyone. At Lesesne Industries, any gift can be made personal with embroidery, no matter who the gift is for. Personalized gifts are just that; personalized. It is safe to say that when you give an embroidered gift this Christmas, it will be unique. No matter what you are gifting your loved one, they will cherish it because it was created unique for them. Personalized gifts do not have to break the bank, in fact, you can give a small gift with a personal engraving for little cost. It’s not the price tag on the gift that matters, it’s the thought that went into it. Personalized gifts are perfect for any occasion; from Christmas to a “just because” gift. If you are at a loss for what to give your loved one this holiday season, consider gifting something that is unique to them, it is sure to be well received and loved for years to come. When you are searching for the perfect gift this Christmas, don’t just give a gift of the shelf, make it special with custom embroidery. Whether it is baby’s first Christmas or grandma’s 90th, an embroidered gift is sure to be one that is treasured for years to come. Below we will discuss some of the top gift ideas for Christmas that you can have embroidered. –Christmas Tree Ornaments: Want to give a gift that will be treasured year after year? How about a custom embroidered Christmas tree ornament? There is no better way to commemorate baby’s first Christmas than with a personalized ornament that will adorn the tree year after year. 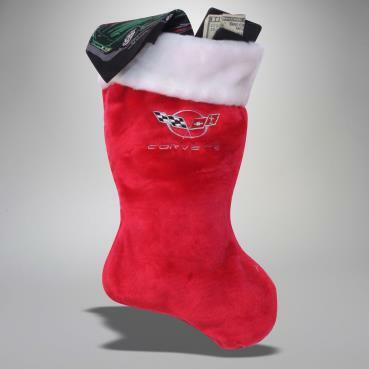 –Stockings: Instead of generic stockings this year, have them embroidered! When you hang your stockings by chimney with care this year, make it even more special by having each person’s name custom embroidered on the stocking. Not only can you get names embroidered onto the stockings, you can pick a special design that fits your home or theme perfectly! –Tote Bags: Who doesn’t need a tote bag to carry their gear, whatever that may be, from one place to another. Make your gift recipient’s tote bag extra special by adding the personal touch of custom embroidery. –Clothing: A new fleece pullover has more appeal when it is custom embroidered with your loved one’s monogram. No matter what type of clothing it is, Lesesne Industries can make it unique with your own custom design. –Pillows: A custom pillow is the perfect Christmas gift for the new homeowners in your life or to celebrate the birth of a child. Commemorate these special events by embroidering the details onto a pillow that can be displayed in their home or nursery. –Coffee Mugs: If you have a coffee drinker in your life, they will love and appreciate a custom mug designed just for them. Their morning coffee will be that much sweeter when they sip their coffee out of a mug made with love just for them. –Picture Frame: if you have a beautiful photo that you are looking to frame and give as a gift, make it extra special by having the frame personalized with your loved one’s name or a special saying or quote. –Briefcase/organizer: For the business minded person in your life, give them the gift of a custom embroidered briefcase. They won’t need to worry about losing their briefcase in a sea of similar looking ones because theirs will have a special design etched in. –Blanket: What better gift during the cold holiday season than the gift of warmth! Everyone on your gift list will love a customized blanket this Christmas. You can add embroidered names, sayings and even pictures to make the blanket truly special. –Lunch Boxes: Ensure that your lunch bag is never mistaken and swiped again when you order a custom embroidered lunch box. Whether you are gifting a new kindergartener with their first school lunch bag or giving to your friend for her workday, every day around noon they will think of you when they see their custom gift. No matter what you are looking to get embroidered this Christmas season, you can trust Columbia South Carolina’s top custom embroidery company, Lesesne Industries, to make your gift one to remember. Our friendly and knowledgeable staff is ready to find out what you are looking for and to help you customize the perfect gift this holiday season on any budget. We provide high quality embroidery services at prices you can afford. If you want to give a fun and unique gift this Christmas that your loved ones will cherish forever, contact us today to see how our custom embroidery can help you put a smile on the faces of all who you gift this holiday season!